It looked like the render size was the limit, instead of the actual font-size. I had forgotten my MacBook 12” screen was a Retina one, which means there were twice the pixels of a standard screen. 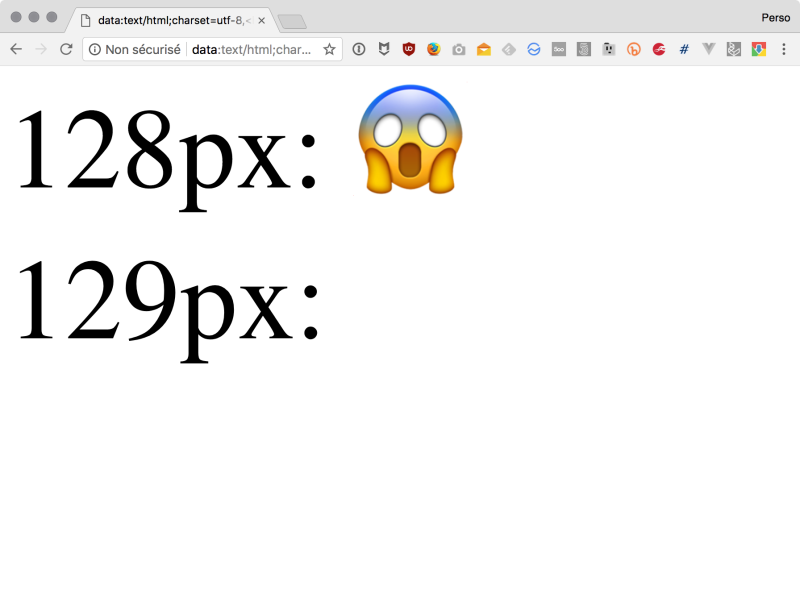 So it looks like the actual physical pixels Chrome doesn’t want to fill with emojis is above 256px. I found the issue had already been reported on bugs.chromium.org by Tobi Reif, so I added my own test case to help fix it. 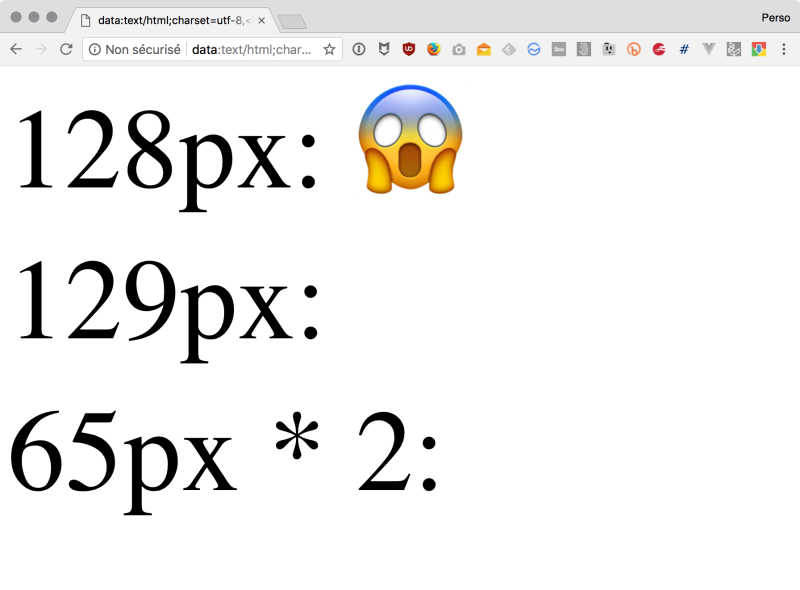 Tobi had encountered this issue on Chrome mobile on Android, as he showed on his own test case, for a font-size above 54px. He used a Samsung Galaxy S6, which has a 4 pixel ratio, so the threshold for him was a rendering size of 54 * 4 = 216 pixels. I wonder why it differs from Chrome desktop, it would be nice to test this on several devices to understand more what happens. Because I don’t want to develop something that should be native. And the development would have to be copy/pasted everywhere I need it. You do cross-browser development, right? IMO this can be part of it. Although I understand it’s inconvenient. Probably you have considered already and I know it’s more work, but you can get nice free emoji SVG sets like emojione, which you could make as big as you like! Maybe next time, I’ll try again, with SVG. Yeah, these are well known issues. Very annoying when doing talks. @googlechrome has not fixed it for years, which is severely baffling.